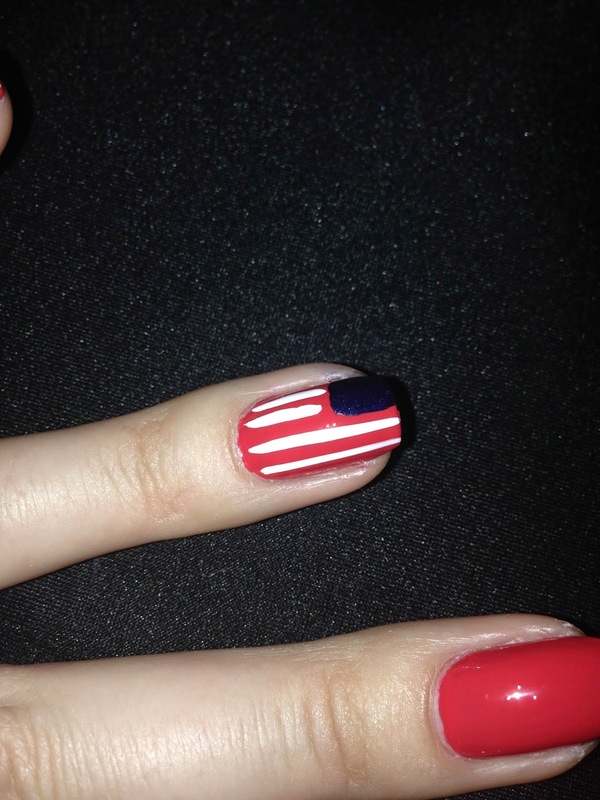 Independence Day Parade, Fireworks and Cookouts - it's always fun and exciting, but lets not forget about our style ;) In order to prepare yourself for the celebration I would like to show you my nail art for this special day. 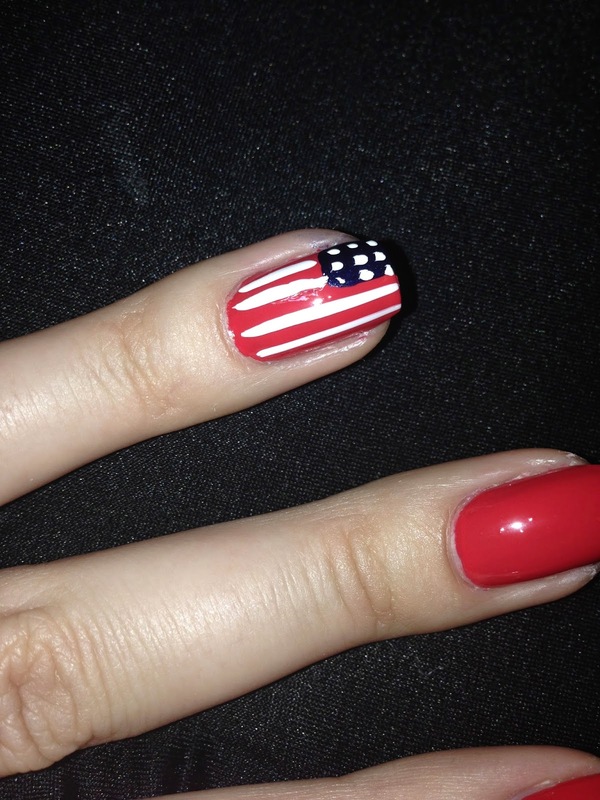 Wait for nails to completely dry, otherwise, colors will mix together and become messy. When your nail polish dries, take a blue polish (in my case its Yoga-ta Get This Blue! 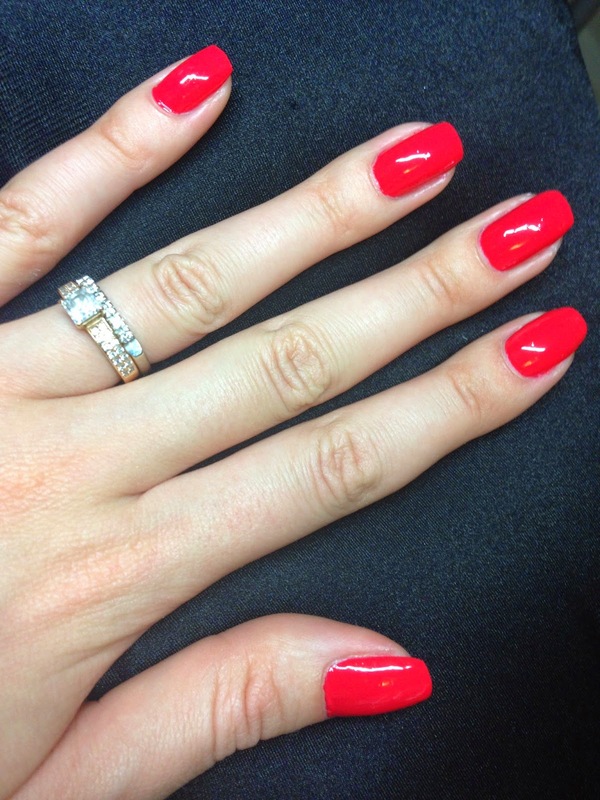 by OPI) and paint a square at the top right corner of your ring finger. The next step is to paint stripes. I'm using White Canvas Milani Nail Art Lacquer with a precision brush. 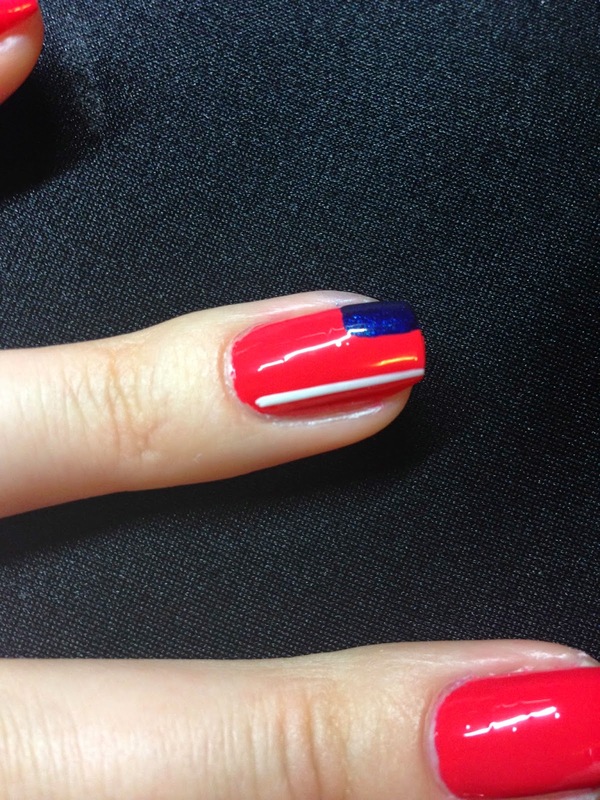 Make sure there is not too much nail polish on your brush, because your lines will be to thick. If they are to thin just go over the stripe again. Repeat the process till you have all the stripes you need. 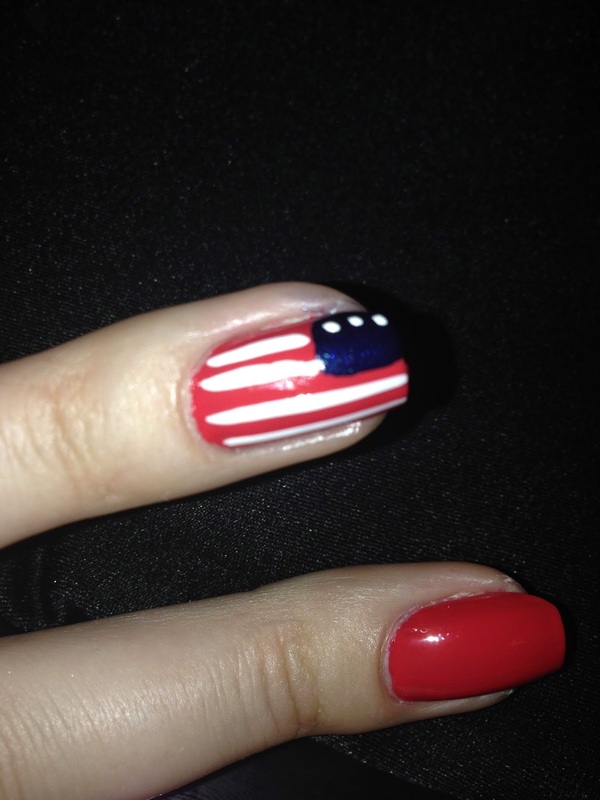 (I did four on my nail, but someone can have wider or smaller nails so it's your preference). 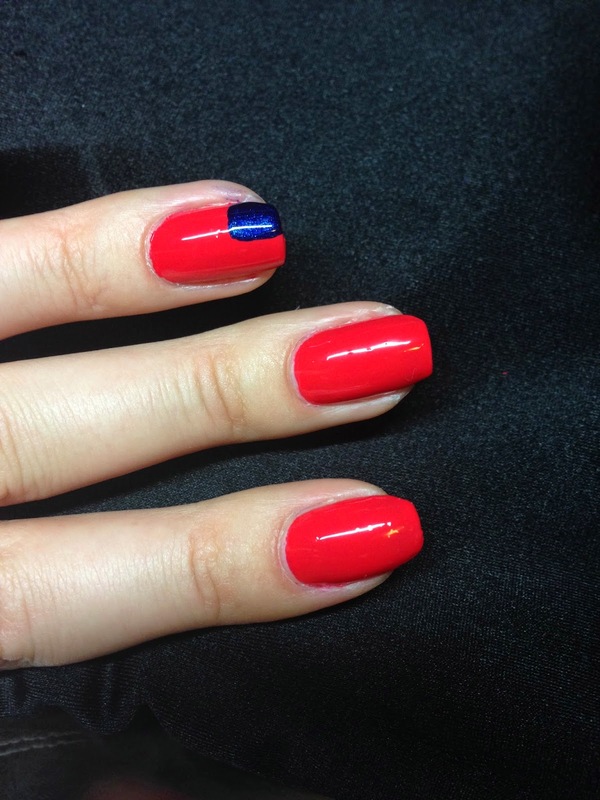 Apply a top coat to protect your nail polish so it can last longer and enjoy the Holiday!